Please note: This is a display item. Discounted price applied. 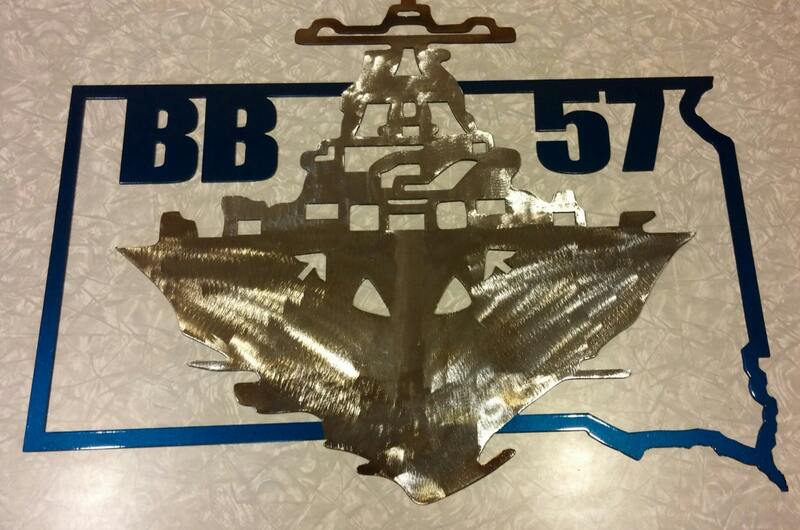 US Navy metal wall decor. 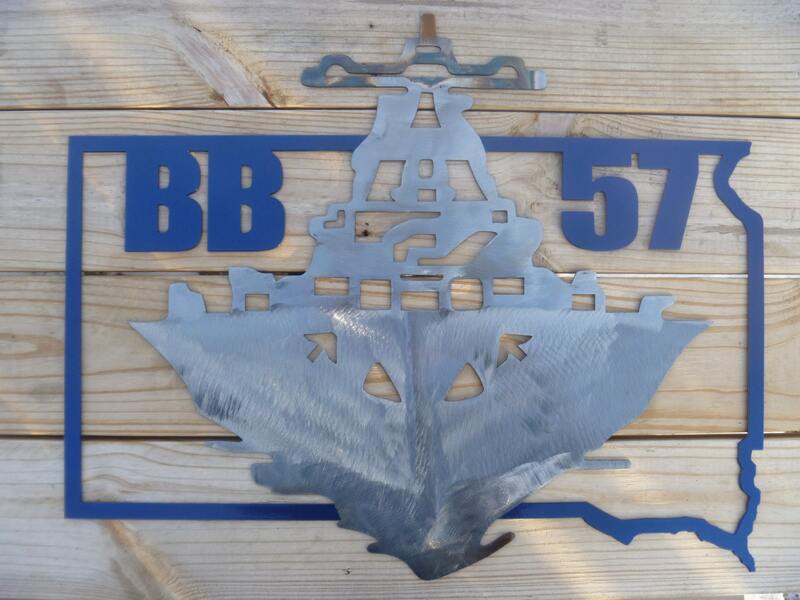 This Navy sign is a beautiful tribute to the USS South Dakota. The steel plaque was designed and produced by a US Navy Chief. He's currently serving as a Navy Reservist in South Dakota. 100% MADE IN AMERICA! This blue and silver sign is cut from steel about as thick as a nickel. The beautiful sign is polished, heat-treated for color and then painted. Paint is automotive quality metallic dark blue and clear coat. Battleship X was one of the most decorated US destroyers of WWII. It was never called by its real name during the war to hide sensitive operational information from the Japanese. Metal USS South Dakota sign is 22" wide and can easily be hung with small finish nails. Item ships FREE in the US! We hope you'll love our US Navy wall decor as much as we love creating it! All of our items are made by the two of us in our home shop --100% made in USA and made to last!